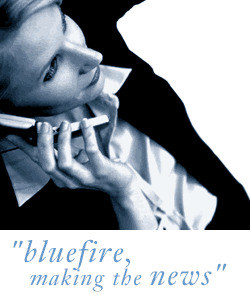 Bluefire Consulting are looking for a permanent Warehouse Operative /FLT driver to be based in Wednesbury. Paying 18-20k per annum + holidays + benefits We require previous Warehouse experience, excellent communication skills and an in date FLT license/ telehandler. You will be physically fit and be prepared to do manual lifting. You will have an opportunity to work for a world leading Telecommunications company with the scope for progression with the right candidate. Bluefire Consulting are looking for a Warehouse/ FLT driver to be based in Wednesbury for a role paying between 18-20k per annum + holidays + benefits. We require someone who has previous Warehouse experience, excellent communication skills and an in date FLT license. You will be physically fit and be prepared to do manual lifting. You will have an opportunity to work for a world leading Telecommunications company with the scope for progression with the right candidate. The ideal Warehouse Operative /FLT driver will have previous experience within a Warehouse Environment. The Warehouse Operative /FLT driver will have the chance to work for a world leading Telecommunications Company. Paying 18-20k per annum + holidays + benefits . Working hours are Mon- Fri and you must be flexible to work shifts from early mornings 6:30am.